All the resources here are free to use and do not require FISH membership. Originally developed by the Archaeological Objects Working Party and published by the mda. It provides guidance for the recording of archaeological objects in Britain and Ireland covering all historical periods (e.g. corn dolly, cremation, cross). Now maintained by FISH on behalf of the heritage sector. Terminology used for recording the techniques, recovery methods and materials associated with archaeological sciences (e.g. tree-ring analysis, modification state, pathology). Maintained by Historic England on behalf of the FISH Terminology Working Group. Terminology used for recording the main construction materials of monuments, buildings and structures relating to the built and buried heritage of the British Isles. Includes natural/animal and man-made material (e.g. cement mix, fossil, fibre-glass). Maintained by FISH on behalf of the heritage sector. Thesaurus for types of cargo carried by vessels and aircraft on their final voyage (e.g. animal fodder, sugar, fuel). Maintained by Historic England on behalf of the FISH Terminology Working Group. Terminology covering divisions and structural elements of a building or monument. Includes terms that describe areas and spaces, decorative features, fixtures and fittings, machinery and implied features (e.g. post hole, cartouche, truss). Terminology relating to the Second World War defence of Britain. This resource is no longer actively maintained, all content can now be found in the FISH Monument Type Thesaurus. Use for recording archaeological events, e.g. architectural investigative, data collection exercises; from intrusive interventions into the resource to non-damaging survey events (e.g. grab sampling, auger survey, remote sensing). Terminology covering the existing physical remains of a monument, or the means by which a monument has been identified where no physical remains exist (e.g. placename evidence, soilmark, surface deposit). Thesaurus for indexing different types of farmsteads, related buildings, areas and layouts. This thesaurus does not contain any additional terminology than that held in Monument Type. For the recording of monuments related to the First World War in the UK. This thesaurus was constructed for the First World War Home Front Project and does not contain any additional terminology than that held in Monument Type. Thesaurus for indexing types of crime and incidents against heritage assets (e.g. graffiti, theft, unauthorized diving). Indexing terminology for the recording of aircraft remains and crash sites, listing aircraft types by form, function and manufacturer (e.g. Atlas, Target, Westland). Thesaurus combining Historic Landscape and Historic Seascape Characterization terminology (e.g. reclaimed land, vineyard, dunes). A small authority file/ wordlist for indexing types of loss of vessels or aircraft (e.g. beached, lost, enemy action). Craft types which survive as wrecks for Historic England’s maritime record and can be used to describe types of ship (e.g. block ship, rescue vessel, net layer) . Thesaurus of non-structural, movable items on vessels (e.g. lifting gear, deadeye, clenched nail). Thesaurus for indexing ports of destination and departure for maritime vessels, grouped by continent, island, water or unassigned (e.g. Isle of Man, Scapa Flow, Gulf of Bothnia). Terminology relating to the built and buried heritage of the British Isles and used for recording sites, monuments, buildings and structures (e.g. beer cellar, macula, railway hotel). List of nationalities for indexing vessels and aircraft. A thesaurus, originally developed to assist with the recording of materials for maritime wrecks but now used more generally for objects found in findspots. Please use the British Museum Thesaurus for museum objects. List of the main archaeological and cultural periods of Britain. May vary compared to other period lists, this one has been developed by Historic England (e.g. Mesolithic, Middle Iron Age, Jacobean). Officially called English Heritage and National Trust Resource Description, also known as THRED. Terminology for the description of archive type and format, now updated by FISH (e.g. excavation report, newspaper article, video clip). Wordlist for different types of threats to heritage assets (e.g. coastal erosion, flooding, vandalism). On behalf of the Association of Local Government Archaeological Officers (ALGAO), FISH also maintain a number of indexing wordlists specific to recording heritage asset management. Although some of the lists are very small, they provide controlled vocabulary for MIDAS units of information. This list relates to the MIDAS unit Management Proposal Outcome. It is intended to provide the option to audit the effectiveness of recommendations made in response to proposed work or planning applications (e.g. agreed, followed, withdrawn). This list relates to the MIDAS unit Management Proposal Type. The different contexts of consultations can be recorded, which in turn may determine the appropriate nature, method, procedure to be adopted by the inventory in response to the consultation (e.g. planning application, listed building consent, conservation area appraisal). This list relates to the Event Type unit in MIDAS. It covers both investigative, data-gathering activities which involve a physical intervention in the site and survey events, ie those data-gathering events which do not have a damaging effect on the resource (e.g. field survey, soil samling, measured survey). This list relates to the MIDAS unit Management Proposal Outcome. It is intended to provide the option to audit the effectiveness of archaeological recommendations made in response to proposed work or planning applications by recording the final result of the planning application (e.g. approved with full condition, refused, amended). This list relates to the MIDAS Management Proposal Work Proposed unit of information. It will offer the opportunity to audit the consultations received by SMRs by broad categories recommended by ALGAO (e.g. building extension, dredging, road construction). 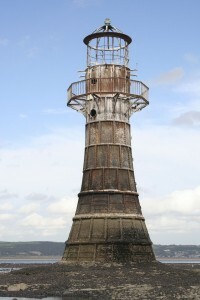 Left: lighthouse: Whitford Point Lighthouse, Glamorganshire, 1865. © RCAHMW, 2006. 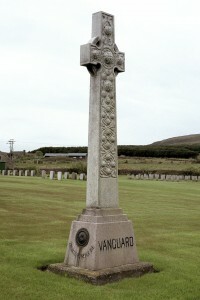 Right: war memorial (freestanding): HMS Vanguard Memorial, Lyness, Orkney, 1917. © RCAHMS / Historic Environment Scotland, 1996. Click here to see controlled vocabularies produced by other organizations. The FISH thesaurus table structure is identical to Historic England’s monuments inventory database. Below document is useful when importing FISH thesauri into your database. Every time we release a new version of the FISH thesauri, we also include a simple list of the new terms added. The document below contains terms added to Version 22, along with those considered for addition.